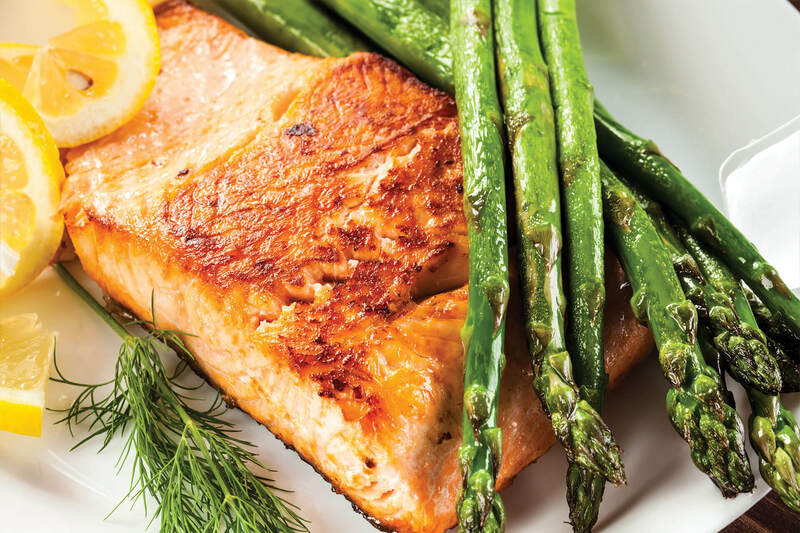 Arrange asparagus spears on aluminum foil and top with salmon. Mix the remaining ingredients in a bowl to make a paste. Spread the paste on top of the salmon. Cut another piece of foil to cover everything and fold up the sides. Place on a cooking sheet and bake for 30 minutes.